Boston is the US bid city for the 2024 Summer Games. 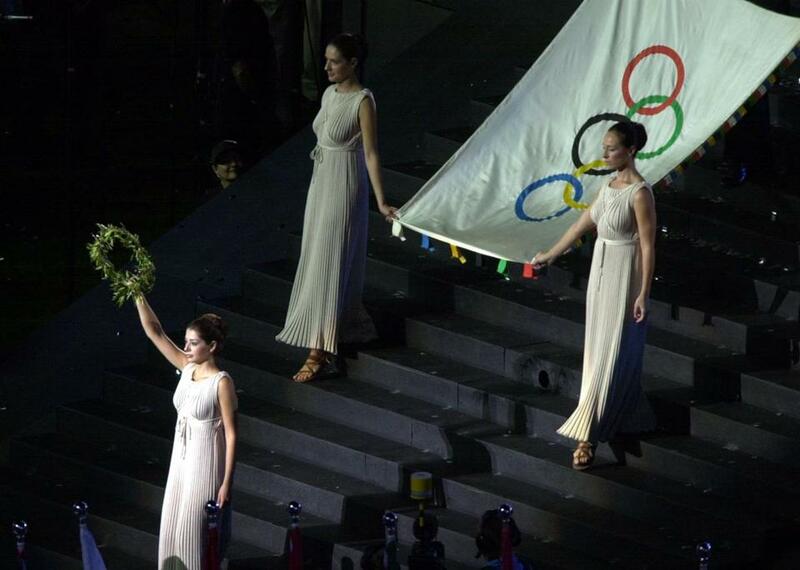 The closing ceremony for the 2000 Olympics are pictured above. The MBTA has yet to restore normal service after cold and snow that was the straw that finally broke the system’s back. Yet proponents of hosting the 2024 Summer Olympics are already pushing a proposal that harks back to the expansion policies that helped bring about the T’s demise. At first, Boston 2024 organizers claimed that transportation improvements already in the pipeline would be the only Olympic-related cost to taxpayers. But when pushed, it became clear they meant any projects included in a $13 billion bond bill Governor Patrick signed last year. The problem is that bond bills only authorize the Commonwealth to borrow money; just a fraction of the projects in them actually fit within state borrowing limits. A recent Globe story showed that some of the projects in Boston 2024’s successful bid to the US Olympic Committee aren’t even in the bond bill, and only a portion of the included projects are funded. Completing them all would roughly double the $4.5 billion that proponents claim taxpayers would have to kick in to host the games. How quickly we forget. In 1991, the Commonwealth committed to build a laundry list of transit expansions as environmental mitigation for the Big Dig. But no funding source was identified for any of them. As a result, building, operating, and maintaining the mitigation projects ran up more than one-third of the $9 billion the T owes in debt and interest. Redirecting money from maintenance to expansion to pay for the projects is one reason for the authority’s maintenance backlog, now estimated at a stunning $6.7 billion, and for the recent systemwide meltdown. State leaders must avoid letting organizers turn the Olympics into Big Dig mitigation 2.0. Among the many projects included in Boston 2024’s bid are South Coast Commuter Rail, extending the Fairmount commuter line to Newton, and expanding South Station. For those projects alone, more than $3 billion is currently unfunded. Commuter rail featured prominently in the 1991 mandates. Required expansions included extensions to Newburyport, Worcester, and Plymouth, and construction of the Greenbush Line to the South Shore. But a recent Pioneer Institute study by former state Inspector General Greg Sullivan (full disclosure: I am a senior fellow at Pioneer but was not involved in preparing the report) revealed the folly of allowing mandates to dictate transit policy. Sullivan looked at 18 American commuter rail systems and found that the T’s was the only one that lost ridership between 2003 and 2013. Despite all the expansion, MBTA commuter rail ridership fell by a stunning 13 percent over a decade. The finding reiterates the direct relationship between investing in maintenance and the reliable on-time service that attracts riders. No project captures the madness of transit policy by mandate better than Greenbush. Since the federal government wanted no part of it, the entire tab of nearly $600 million was picked up by the Commonwealth. Greenbush was projected to take eight passengers off highways for each one that had previously used the MBTA’s South Shore commuter boat service. Instead, about the same number of the line’s riders were lured from the ferry as from area roadways. When those who previously rode other commuter rail lines are added in, more than 60 percent of the line’s meager ridership was already using public transit. Common sense dictates that new lines should be added only when there is enough money to build, operate, and maintain them without cannibalizing existing assets. To be sure, a number of the projects Boston 2024 organizers tout are important maintenance investments, including MBTA signal and power system upgrades. But it is up to state leaders, not Olympic boosters, to plan the region’s transportation future. Those boosters are backpedaling furiously in the wake of revelations about the real cost of Olympic-related transportation upgrades. The group’s CEO, former state transportation secretary Richard Davey, told the Globe that the only transportation enhancements really needed to host the games are new Red and Orange Line cars that are already slated for delivery beginning in 2018. That’s quite a departure from their official bid. Those who don’t know history are doomed to repeat it. Let’s not run the risk of repeating Big Dig mitigation’s devastating impact on the MBTA by allowing Olympic dreams to dictate the next generation of area transit policy. Charles Chieppo is principal of Chieppo Strategies, a public policy writing and communication firm.